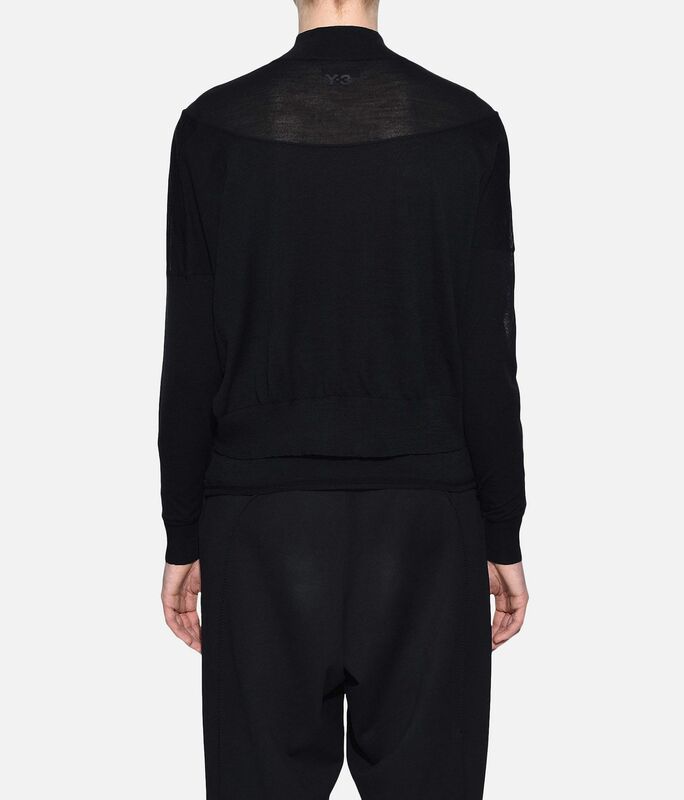 With a simple, strong design, Y-3 circulates back to its origins with the Layered Knitted Cropped Sweater. 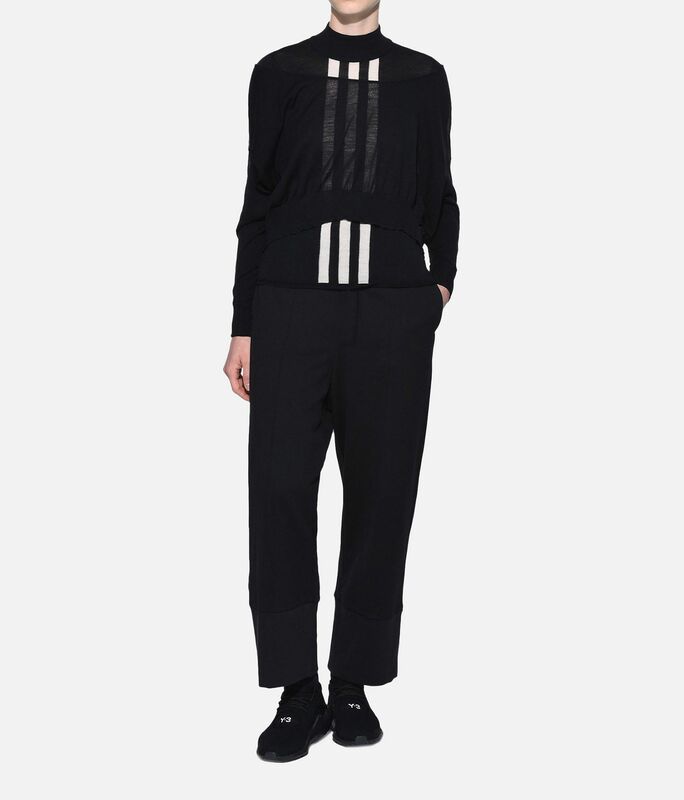 The sheer top layer has an asymmetrical design with an exaggerated neckline. 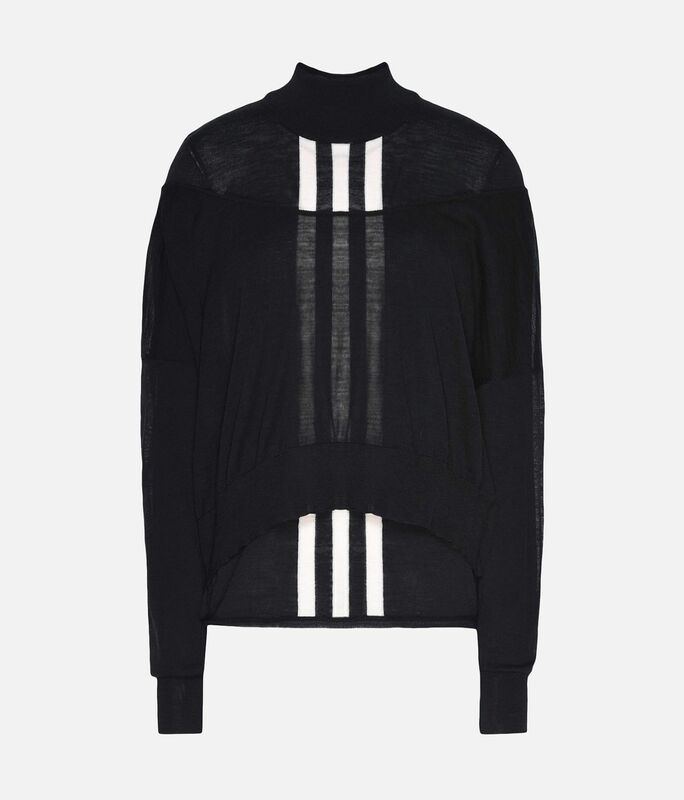 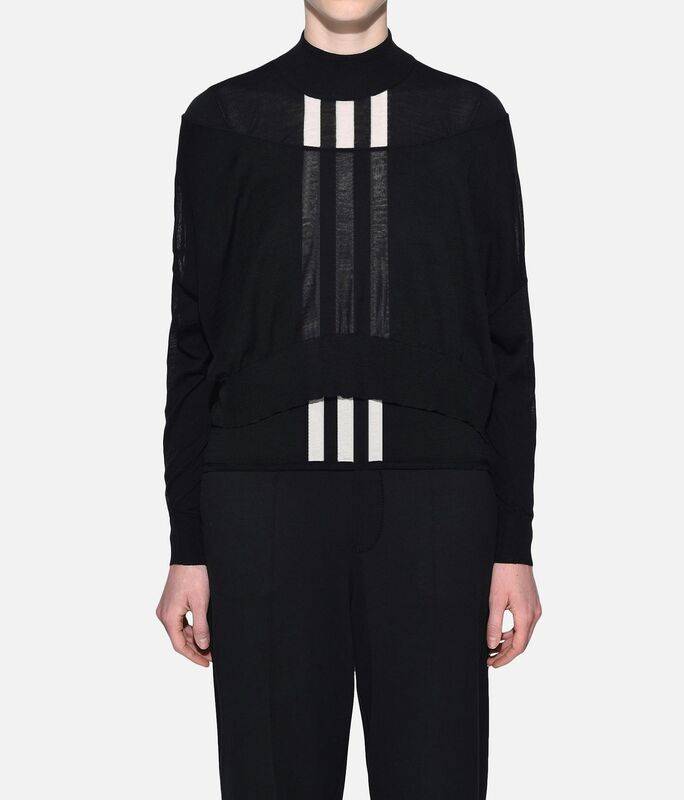 3-Stripes run down the front of the sleek turtleneck beneath.